Dallas-based Mega-Church recovers from data failure – and increases nationwide flock – by putting stock in critical IT strategy. Covenant Church is a Dallas-based Mega-Church with nearly half a dozen fully packed campuses dotting the Southwest, plus numerous partnerships around the country. Its blockbuster popularity is, in part, due to the cohesiveness of the church’s mission and commitment to its geographically diverse members, with whom the Outreach Team communicates both in person and via a vast network encompassing streaming video, books, conferences, music, music tools and other multimedia modalities. In short, technology is critical to Covenant’s growth and operation. 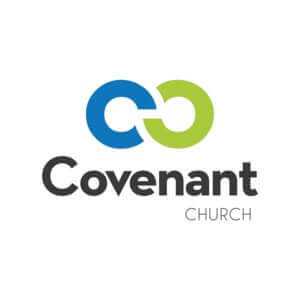 Several years ago, however, Covenant Church learned that astronomically rapid growth could actually carry a disadvantage: Covenant’s popularity soon dwarfed its capacity to serve in the digital realm, and the church found itself incapacitated for a full, seemingly endless five days. The central hub had collapsed. No teachings. No materials. No conference information. People started clamoring: Was their financial information in jeopardy? Their intellectual property? Their purchases from the online store? That’s when Covenant Church called GXA Network Solutions, whose immediate response rapidly resuscitated the failing network. GXA identified that the church had suffered a massive SAN storage failure and needed a new, robust system built with inherent redundancies and future scalability. GXA sprang into action and assisted the internal IT team with the 24/7 massive recovery effort that included restoration of their files, applications, databases and systems. As complicated, urgent and crucial as Step One had been, GXA could not rest: the recovery and restoration of the church’s IT systems could not address the possibility of another critical failure, so GXA launched into work with the church’s internal IT team to quickly and effectively put together both short-term critical recommendations and powerful long-term tech strategy. Taking into account the church’s long-term growth plans, GXA ensured scalability so that the newly replaced SAN storage system could handle both current and future needs. The church also required protection against possible weather, electrical or, as insurance companies put it, Act of God disasters. This meant implementing a robust and automated Backup and Disaster Recovery system, with solutions that would protect electronic assets. To do this, GXA set up a DR site at a co-location, one which hosts a live copy of the critical servers and infrastructure, independent of the main location. The next critical function dealt with the stability of the church’s Internet redundancy. The rickety system that had once served a fledgling flock no longer served the needs of the massive success Covenant Church had become. Video streaming to remote campuses is crucial to the multi-pronged church, as is the assurance of IT Solutions that Build Stronger Businesses smooth streaming to Internet members, web site traffic, voice over IP (VOIP) traffic and streaming data traffic. GXA set up BGP and HSRP at the perimeter of the network to help bolster it. The exodus from the original virtual environment to a secure one ensured stability, as did the way GXA migrated the enterprise servers. Best of all, GXA helped the church deploy a video streaming WAN network across all of its campuses, allowing for robust and error-free streaming of church services to its thousands of members. “I am happy to say that we have not had another outage of that magnitude in the 5 years since bringing GXA Network Solutions onboard,” reports Covenant Church’s Montez. Over the years since the initial IT crisis, as Covenant Church has evolved and grown, its IT demands have changed accordingly. GXA has continued to provide IT roadmaps, make strategic IT recommendations and implement solutions that align the company’s IT to its evolving organizational needs. Virtual CIO services to leverage the best technology to meet the evolving challenges in the faith industry. Since 1976, Sr. Pastors Mike and Kathy Hayes and Covenant Church have ministered the love of Jesus Christ to the North Texas area and to the nations of the world. From small beginnings in a bank building in old downtown Carrollton in the mid 70’s to several beautiful campuses across North Texas, Covenant Church celebrates a membership of almost 10,000. And now with growth in Cross Roads/Denton and remote campuses throughout the Metroplex, His mission and mandate for Covenant Church to increase the Kingdom of God through “One Church, Many Locations” is clear. The church continues to proclaim the gospel of Jesus Christ and meet the needs of others through Covenant relationships in new and exciting ways. For more information, please visit www.CovenantChurch.org.